This self-adhesive Window Stick-up is quick and easy to apply to most interior wall surfaces (which must be flat and dry). This Window Stick-Up features a photographic scene from our own Collection. However, you may choose to customise it with an alternative scene from our Collection or by using your own photo, perhaps a local scene relevant to your residents and care home. Please view the How To Customise Tab for details. Our Window Stick-Ups are printed onto self-adhesive polyester blend fabric that is tear-resistant and robust. The material is also fire rated with B1 certification (Germany). For more detailed information about this material, please view and download our Material Specifications. This product comes with step-by-step installation instructions. View the About Installation Tab for more information. 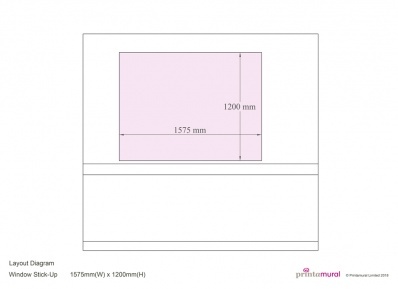 View the Layout Diagram image on the product page for layout and dimensions. 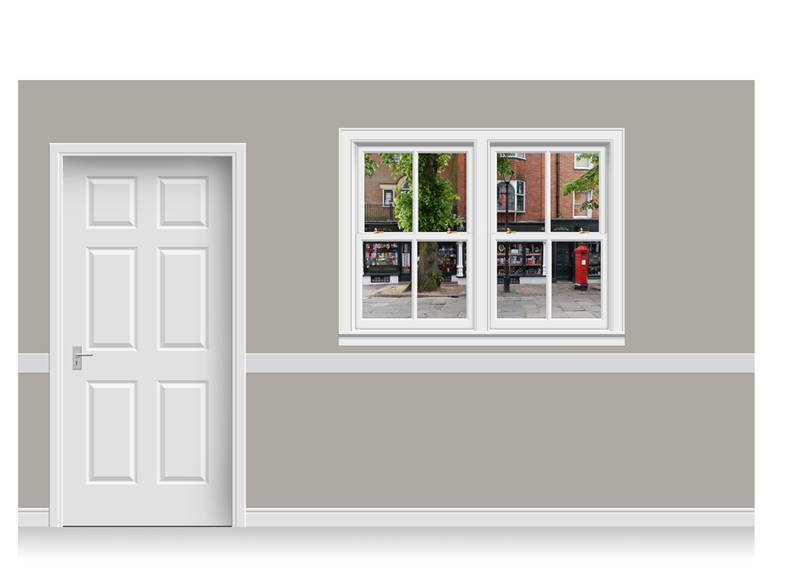 You may customise this Window Stick-Up to create a truly unique mural for your care home. Use your own view through the Window. 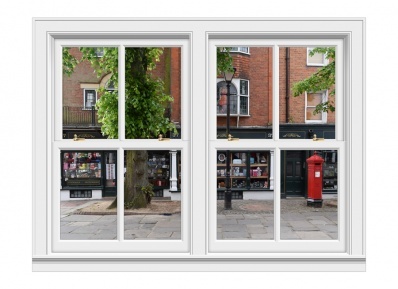 You may choose to use your own scenic photo in any Window Stick-Up (provided that the photo is of sufficient quality). Simply upload your photo on the Product page and leave the rest to us. We will send you an illustration, showing how your Window Stick-Up will look, for your approval before we print it for you. Customising you mural will add £30.00 + vat to the price. Choose a different View from our Collection. If you want to include a different scene in the window, perhaps one you have seen in one of our other Window Stick-Ups or murals on our website, then please Save the Window Stick-Up to your Basket and then call us on 02183 712171 to discuss your requirements. Or send us an email outlining what you want. We will send you an illustration showing your customisation choices for your approval before we print it for you. Customising you mural will add £30.00 + vat to the price. At no additional cost, you can have a different configuration of open/closed windows, and choose to have the window handles and locks removed. Call us to let us know your preferences. If you have any questions that you cannot find answers to on our website, please call our friendly and knowledgeable team on 02183 712171. It really is very easy to install our Self-Adhesive Window Stick-Ups. To apply, position the Window Stick-Up on the wall in the correct position. Hold in place with masking tape if necessary. Gradually peel the backing paper away and smooth the print down as you go. Because the print is repositionable - having a low-tack adhesive - you may re-apply it if you do not get it right first time. Each product is supplied with a step-by-step installation guide. 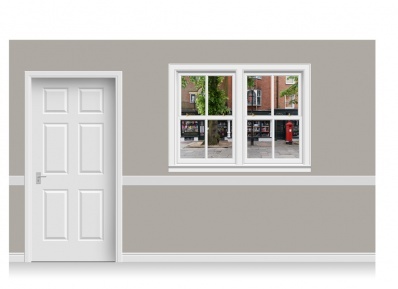 Our Window-Stick-Ups are intended for application to interior walls with standard paint surface finishes. Surfaces must be flat, smooth and completely dry before application. Please see material specifications for more information about suitable wall finishes. If you have any questions that you cannot find answers to on our website or in our Guides, you can call our friendly and knowledgeable team on 02183 712171. We are always happy to help.